Died 05.07.2005 from respitory complications, in Robert Wood Johnson University Hospital, New Brunswick, U.S.A. He was most famous for providing the bass vocals on Parliament's funk songs "Give Up The Funk (Tear the Roof Off the Sucka)" and "Flashlight". During the early 80's, he joined the late Roger Troutman's band Zapp. 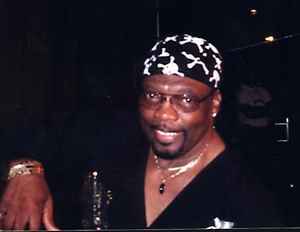 He lived in Franklin Park, remained active musically in recent years, working with the The Temptations after the death of Melvin Franklin in the mid-90's. He also toured from 1998 with original P-Funk All Stars members and Greg Thomas (2).